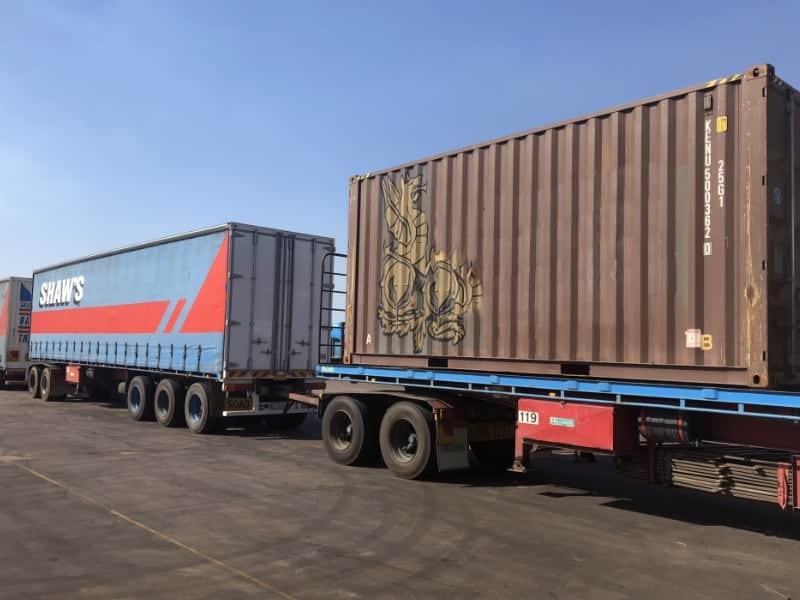 We specialise in road based interstate container transport services between Darwin, Sydney, Perth & Brisbane. Shaw’s Darwin are the largest specialist carriers providing interstate container transport services to and from Darwin. We own and operate a wide range of equipment capable of moving shipping containers efficiently and safely. We offer container transport services to move a wide range of goods efficiently and safely. Shaw’s Darwin can help you move shipping containers between Sydney & Darwin, Perth & Darwin, Sydney & Perth and Brisbane & Darwin. Contact us about our door-to-door container transport services. Our interstate container transport services cater to many businesses and industries across Australia. We carry a variety of goods including non-perishables, pharmaceuticals, medical equipment, building materials, fast moving consumer goods and more. Request a container transport freight quote today. You will always talk to a local staff member at our depots in Darwin, Sydney, Perth & Brisbane. Remove the frustration out of dealing with a remote customer service team. We have depots in Darwin, Sydney, Perth & Brisbane – you will always talk to a local member of staff. Making it easier to obtain accurate information and updates on shipment status. Shaw’s Darwin are one of few transport companies, who don’t use outsourced subcontractors. We own and operate our own equipment. At Shaw’s Darwin, you can feel confident knowing your container freight is handled by highly experienced and skilled staff, from door-to-door. Quality Assurance: Container freight services with peace of mind. We pride ourselves on delivering high quality interstate container freight services to our customers. At Shaw’s Darwin our dedicated staff follow stringent quality assurance practices to minimise risk and errors associated with shipments, damage to goods, delivery times, productivity and most importantly safety. We are a safe and compliant operation.